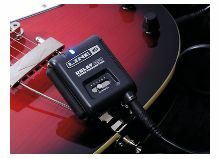 Guitarists have dreamed of wireless freedom since about two minutes after the first instrument cable was plugged in, tethering them to their amplifier. In the early days of rock and roll, wireless was something that could only be dreamed of and was as much science fiction as space travel. In recent decades, however, instrument wireless has come a long way and has gone from analog to digital and from expensive to affordable. 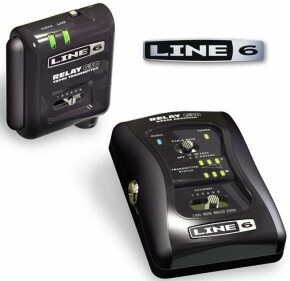 The Line 6 Relay G30 Wireless Guitar System is a good example of this sort of bit-level working man’s wireless thinking. 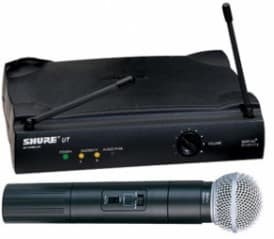 It is a digital wireless system that operates on the 2.4GHz band, which is seen as optimal for guitar use and which keeps the signal free from a lot of interference. Even better, the G30 uses exclusive signal protection technology, broadcasting six simultaneous channels of encrypted data. Line 6 promises an effective range of 100 feet within line-of-sight, which is excellent for this type of unit. Due to receiving this unit for evaluation during my personal off season, I was not able to try it out on a large outdoor stage to see how far it would really go, but the G30 did perform well on the indoor gigs I used it on. Sound quality was good and there was little to no latency (feeling a time lag between when a note is struck and when it is heard) which is also very good for a wireless system in this price range (MSRP $419.99). There is even an EQ switch that mimics the sound of a long cable run for those who prefer that type of sound. When compared A/B-style some garden variety Rapco and Spectraflex guitar cables, the G30 performed admirably, not showing any noticeable loss in signal strength or tone. This may change when pushing the limits of the G30’s range, but within normal indoor stage distances, it was really hard to tell the difference between the cable and the wireless. Overall, the Relay G30 performs as expected, providing a lot of bang for very little buck. Some areas of concern exist in regards to construction, however. Both the base unit and transmitter are made of fairly lightweight plastic and could probably be damaged easily. The same goes for the various switches on both pieces. Everything worked well in my tests of the G30, but I am not sure how it would hold up over the long haul. 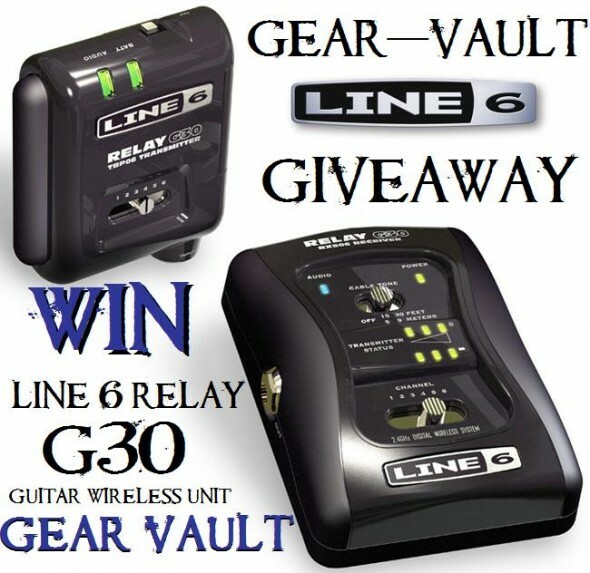 Other than that, which is really a price point issue, The Relay G30 Wireless Guitar System is an easy-to-use and cost-effective way to get into guitar wireless that delivers great sound at a price you don’t even need to tell your wife about. No longer will you have to dream of running across the stage completely free of your previous entanglements. Line 6 has made it a snap to be just as mobile as you want to be. Now, you just have to perfect your dance moves. See more cool Line 6 products by visiting www.line6.com. Line6 obviously just lifted standards for rivals! I have really good workhorse – Ibanez S520ex (black, of course!) and just couple days ago obtained used and cheap (but really good looking :)) MIM Fender Strat (lacquered ash body and rosewood fingerboard, the one and the only combination I decided worthy to be obtained and here she came for no-brainer price). Sometimes life really makes some pleasant surprises! I totally have no “years” of experience to brag about cause’ I bought Ibanez just in October 2009. For me music is like oxygen (just can’t live without it) that is why I enjoy very wide range of it, from classical and ambient to hard and heavy but my goal on guitar is blues, for sure, and rock, if I will be capable of and live long enough LOL! Mike, this is an awesome G30 review with great insight. Here’s my experience with the Line 6 G30 after using it for about 7 weeks. 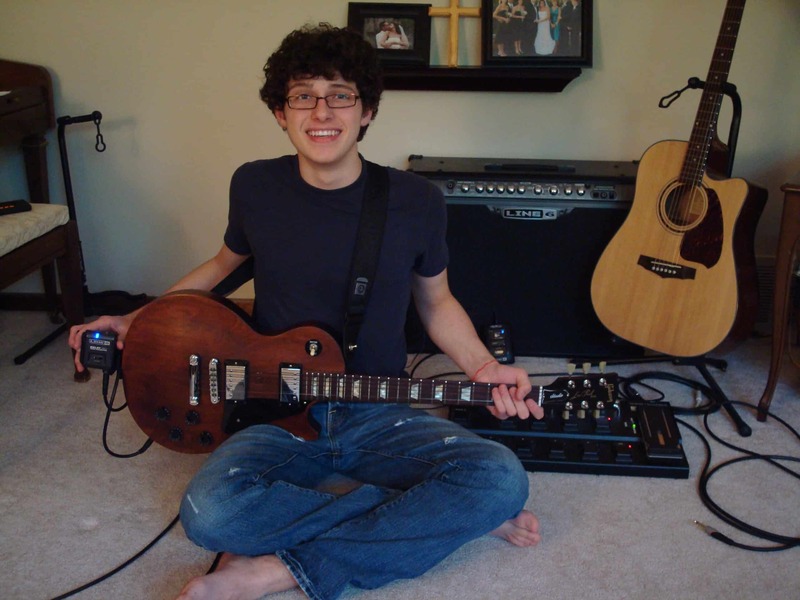 Here’s little background about me, I’ve been a guitarist / musician for over 30 years and I play 3 times a week (not including rehearsals) at my church. I’ve used various wireless systems over the years and never found a system that I’ve been satisfied with. Either I’d get cell phone interference,,, or my main dissatisfaction is the gain and volume controls on those units. They seem to always degrade my guitar sound to some extent. Not from the Line 6 G30 Relay…. I love Line 6 products and use a POD XT Pro for a recording set up so I decided to give the G30 a try. Well I love it! -It is the best sounding wireless system that I have used. The G30 has no volume and the cable tone switch isn’t a gimmick. Whatever your guitar volume is with a cable it is the same with this unit–Plug and play! I A/B’d my guitar with the unit and with a cable over and over and I cannot hear any difference; not anything that really matters to me. I also walked all over the place and it was spot on, no latency / No delay. The only possible drawback I can find is the G30 is all plastic and could break, but since the receiver stays on my pedal board and the transmitter is on my guitar strap, I don’t think it’ll be an issue. My G30 does eat up batteries though. I’d say, all in all, this is a great unit. Everything I’d expect from line 6! I’ve noticed that the Carvin IN Ear system has the same exact problem. The Line 6 G30 is a awesome bit of kit…Performs absolutely perfect… money well spent..sorted!